Front and back images are reversed in the aviation category. 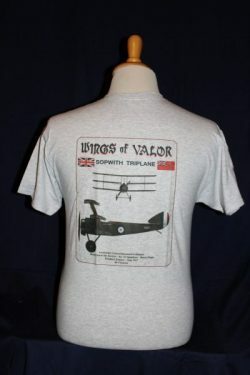 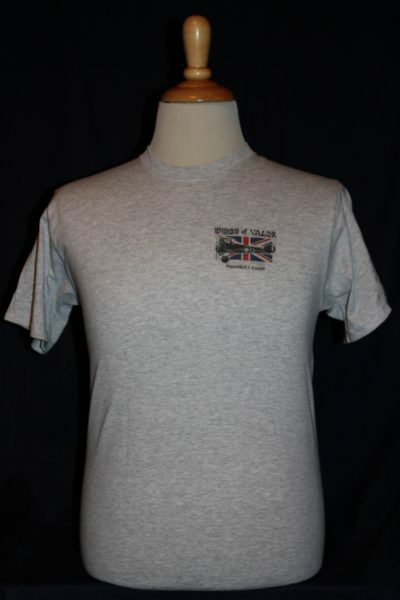 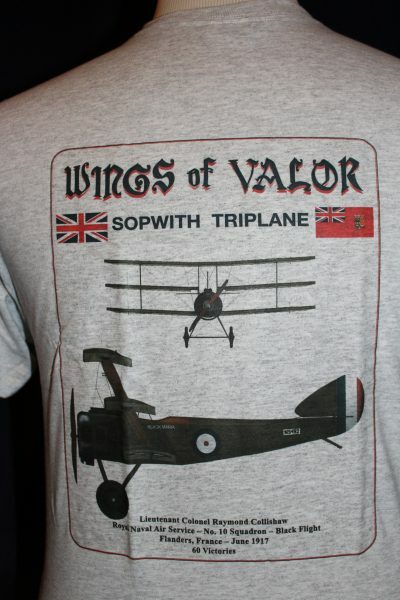 Front Left Chest: Side view of Sopwith F.1 Camel, and British flag. 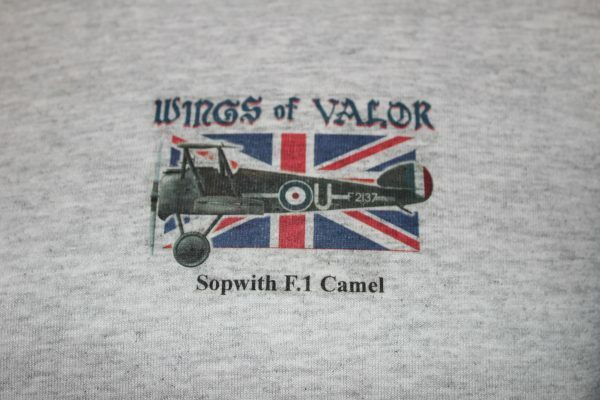 Back: Major Don MacLaren's Sopwith F.1 Camel.